September is “Pain Awareness Month”, so I couldn’t think of a better time to share this most important update, or unofficial addendum, to our Integrative Therapies for Fibromyalgia, Chronic Fatigue Syndrome, and Myofascial Pain book. Expert at the Rolfing Institute, Ann M. Matney, was kind enough to let me know the nitty gritty. Following is what she shared. As human beings going through life, we develop postural and movement patterns that deeply inform who we are. From physical ease to chronic pain at varying levels, how we inhabit our bodies creates the background of our immediate experience. My passion is to guide clients through the Rolfing® ten-series, which allows them to explore posture and movement with new awareness and often releases them from limiting patterns that cause pain and discomfort. I am a certified Rolfer® in Bozeman, MT and I’ve been practicing for 14 years. I want to thank you for writing Integrative Therapies for Fibromyalgia, Chronic Fatigue Syndrome, and Myofascial Pain: The Mind-Body Connection, an accessible, informative book that opens the doors to the world of integrative medicine as treatment for these difficult conditions. I found the section on Rolfing® Structural Integration to be well-written and accurate, picking up on many of the subtleties that are often glossed over or misunderstood. So, I thank you for your careful assessment. One of the main issues that the Rolf Institute of Structural Integration seeks to clarify in the press is that, despite the use of a physical contact that is comparable to “myofascial release”, structural integration is not a form of massage. Rolfing/Structural Integration is a separate lineage with its own history, as well as its own schools and separate continuing education. One cannot learn massage at a “Structural Integration (SI)” school, nor properly learn SI at a massage school. In fact, “myofascial release” and “deep tissue massage” are offshoots of Rolfing. An important distinction between Rolfing and myofascial release is that Rolfing strategically lengthens fascia that is shortened, while avoiding lengthening fascia that is relatively long, so that the person achieves maximal balance between agonist/antagonist muscle pairs as well as creating more balance at each joint. Rolfing also includes postural and movement re-education for sitting, standing, walking, and so forth, so that the client can consciously integrates new postural and movement balance. I say all this as a means of explanation for why we decline to have structural integration referred to as massage. Clients with fibromyalgia and other chronic pain disorders need not be fearful that Rolfing is “aggressive”. When the practitioner has a patient-focused approach, it may be used successfully because current structural integration training and practice is intentionally neither aggressive nor painful. While there was a belief that more intensity yielded more results when Rolfing was first emerging as a bodywork, that thinking has been extinguished for decades at both institutional and individual levels. Craniosacral therapy and neurofeedback can reduce anxiety and lift depression, allowing clients to experience a sense of peacefulness and integration that compliments Rolfing. I help clients inhabit their physical selves in a new and deeper way so that comfort and integration can become their new normal. Ann M. Matney has a B.A. 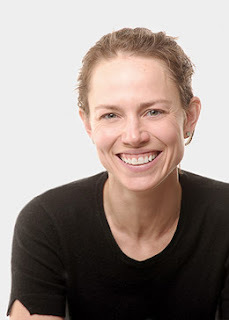 in philosophy from Smith College, is a certified Rolfer® by the Rolf Institute of Structural Integration, and she is trained in craniosacral therapy and neurofeedback. She is currently enrolled as a graduate student in a rehabilitation counseling at Montana State University. Annie tells me the International Association of Structural Integrators sets the standards for structural integrators. Rolfers® (which should be capitalized every time and followed by the registered trademark symbol for the first occurrence) are one group, namely those certified by the Rolf Institute of Structural Integration in Boulder, CO.